While we await release of the 400 or so recommendations of the Drummond Commission, its likely important to remember that Dwight Duncan is the finance minister of the province of Ontario, not Don Drummond. Globe and Mail columnist Adam Radwanski has suggested that Drummond’s recent musings about lowering health care funding increases to below 3 per cent may not be heeded at Queen’s Park. The province set 3 per cent as a target for annual increases long before Drummond, although getting there has not necessarily been easy. 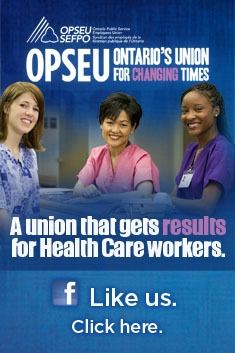 In 2011 Ontario’s health care system received a 5 per cent overall increase. While Drummond told us that he has no mandate to look at raising taxes, it is likely the province will be forced to look at the revenue side, including cancellation of the last phase of corporate tax cuts, originally intended to drop from 11.5 per cent to 10 per cent. When the Ontario Health Coalition (OHC) met directly with Drummond, they challenged his ideas around opening up more of the health care system to private delivery, suggesting the province may instead want to look in the opposite direction if it intends to find ways of saving money and making health care services more efficient. Drummond’s response is we should look at where health care services can be best delivered, not just looking at cost, but at quality as well. That could include moving delivery back to the public sector if there is a case to be made, he said. If Drummond truly believes this, then the message is not getting through to the media, who continually write about Drummond’s mission to privatize more public service delivery. Present at the OHC meeting with Drummond, we gave the example of the government’s decision to end community lab testing performed by rural and northern hospitals despite overwhelming evidence of the benefits. This is all public medical lab testing ordered outside the walls of the hospital – including doctors offices and clinics. Not only did these hospitals turnaround these tests faster than the centralized private sector labs, but were more easily accessible to local doctors. The community volumes enhanced the efficiency of the hospital lab, helped to purchase more hospital lab equipment and saved considerable money. An RPO Consultants Report stated that for every $22 spent on a typical round of tests at one of these hospitals, it cost $33 for the equivalent at the large private sector labs. So why is the McGuinty government preserving the Harris-era ban on public hospitals performing this work? If the small hospitals can achieve these kinds of results, imagine what could be possible at a large automated hospital lab facility in downtown Toronto. Labs are just one of many examples where private delivery of public service has not been the panacea it was intended to be. If we look at the evidence, there is far more of an upside to public delivery. We don’t know why the chicken crossed the road, but good advice is to always look both ways before doing so. Unfortunately we’ve had recent governments only willing to look right. Interested in having your say? The Public Services Foundation of Canada is presently conducting hearings and town hall forums across Ontario — the open hearings that never took place under the Drummond Commission. Find out more about the PSFC Commission on Quality Public Services and Tax Fairness by clicking here. This entry was posted in Health System, Ontario Health Coalition and tagged Don Drummond, Drummond Commission on Public Service Reform, Ontario hospital labs, RPO report. Bookmark the permalink. This Diablogoue is spot on. Where the idea came from that the private sector does a better or even more efficient job than the public is beyond me.I will quote from an administrative assistant who came to our Hospital from years in the private sector. Quote: ” I have never worked so hard in all my life”. Doctors I know continually complain about results from the private Lab – they are late in responding, specimens sit too long and have to be repeated (which means calling the patient back to take another specimen) etc. Thank you for this excellent article. Those of us in the community defending the public health care system we need concrete examples with the dollar figures comparing – private costs to public costs, in order to fight this constant attack on our most valuable asset… “Medicare”. The Finance Minister needs to be definitely persuaded that the public will not accept private health care, at any costs. Keep up the good work. I agree with Helen Havlik’s comment above as well. The less private sector influence and involvement in healthcare the better, in my opinion, and especially in long term care homes and labs. Would be interested in learning more about your org. Catherine.